We've heard months ago that Tatsunoko Japan and Nikkatsu Corp is developing a live action film based on the well loved Science Ninja team Gatchaman. Well now we got the chance to see a teaser including a first partial look on the costumes. What do you think about the costumes? Voice out your thoughts on the comments. 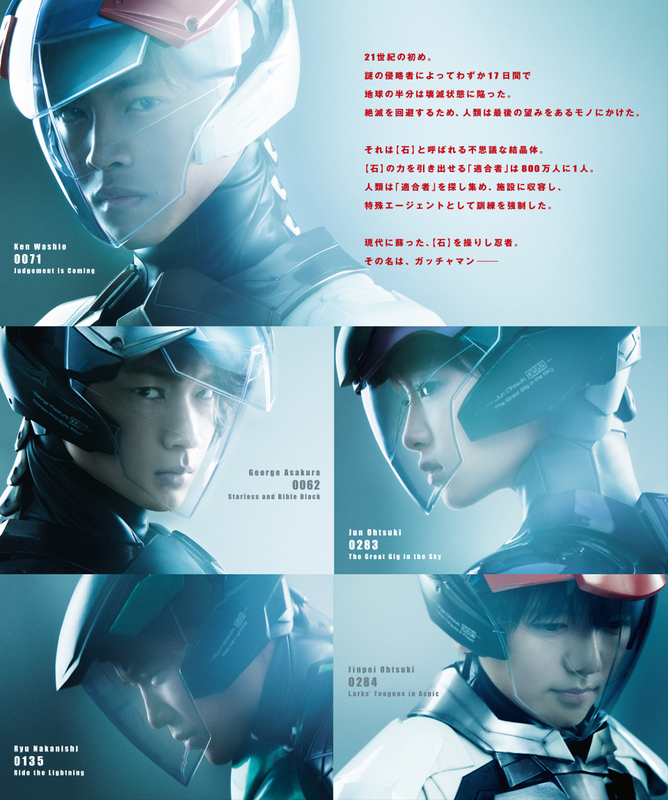 Gatchaman is set to premiere in Japan on August 24, 2013 from Nikkatsu Corporation and Tatsunoko Productions. I'm looking forward to the movie as long as it's done right,the costume helmets are tight though,here's hoping that the rest of it is on point.